Acne is a common chronic skin disorder that is known to affect about 85% of the population that is between the age of 16 to 18 years old. According to the official 2015 Health Report, it was discovered that more than 366 Million people are affected by acne and skin scars all over the world, which translates to be the top ten of most common skin disease worldwide. However, it is sometimes considered as one part of regular growing up. It is important to realize that the adolescent’s stage of development, which involve acute self-awareness of the body images must not include skin scars and acne. But, can scars and acne be removed from the surface of the skin? Well, absolutely. There are many types of eliminating blemishes and acne. However, in this post, you will get more details on acne and scar removal in beauty and cosmetic field. This means that the methods and techniques disclosed in this post do not involve any prescription or procedures to remove these embarrassing scars and acne from your skin. If acne, aging or the scorching effect caused by exposing yourself in the sun left your face full of scars, blemishes, wrinkles, or lines, undergoing laser skin resurfacing can assist your skin, and make it young again as well as healthier. Laser skin resurfacing is responsible for removing the skin layer with a lot of care and precision. In fact, the skin cell which grows as your skin heals from this process gives your skin a tight, young looking surface. The laser skin resurfacing procedure may be conducted alone or together with other cosmetic surgeries on the surface of your skin. When you undergo the Cosmetic Laser Treatment, your skin will grow tight and youthful texture. Collagen production is the function that is responsible for our skin loses, especially as you age. The creation of collagen cause loss of laxity and skin sagging over a specific period. This results in a condition that makes you look for plastic surgery to solve the issue. However, instead of going for an operation, it is recommended that you consider the cosmetic laser treatment. The Cosmetic Laser Treatment offers you with ultimate safety as well as assurance, all the way in the patient treatment, which will enable your overall skin to build natural collagen on its own and of course, save your body, the stress involved during the harsh recovery of surgery. Some of the Laser Treatments which may help in tightening your skin’s texture and making your skin younger and healthier include the Active FX Laser Resurfacing, Laser Genesis, and Titan. All the cosmetic laser treatment provides your skin with an incredible rejuvenation and restoration, which give you a back glowing, thick, and smooth skin surface. 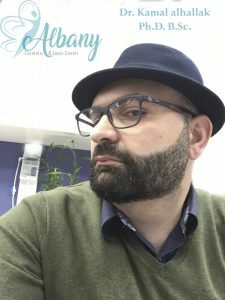 Are you searching for a technique that you can use to improve your wrinkles, eliminate and remove acne and scars without any downtime? Well, Micro-needling is your solution. It is a quick as well as the virtually painless process that will offer you with a firmer, smoother, and younger appearing skin. The purpose of Micro-needling is to induce collagen production and of course, make the skin epidermis strong enough. The Micro-needling technicians and experts typically apply a wand that comprises a very fine needle. Once this is passed over your skin, the needles microinjection develops a channel that is responsible for triggering the production of new collagen in your body’s surface. It produces enough elastin which is enough to fill the little wound. This is one of the most popular beauties and cosmetic methods to remove acne and scars on the surface of your skin. It decreases the occurrence of fine lines and wrinkles. It is wise to note that the loss of elastin as well as reduced collagen production in your skin causes the sagging skin, thinning, and facial wrinkles. However, with the use of Micro-needling process, the procedure stimulates the production of collagen and elastin naturally, which are responsible for the removal of acne, scars, reduction of wrinkles plus fine lines. The system is safe and can reduce the appearance of stretch marks. Stretch marks are also tough to remove, and not many beauty and cosmetic treatments can improve their occurrences. However, Micro-needling has been discovered by scientists and therapist to improve the stretch marks appearances, mainly when it is integrated with other forms of treatments like laser treatment and Fraxel. Do you know that it is possible to embrace the aging process gracefully, and at the same time, have a young and healthy appearance? Well, this is possible with the Plasma Injection. A bio-facial, mainly using pure platelet rich Plasma injection can be considered as the “No-facelift Facelift.” This means that you will enjoy all the benefits of having a facelift, without necessarily having one. It is a non-invasive surgery and has no foreign product. The Platelets Rich Plasma is a new and innovative way to remove and treat acne and scars on the surface of your skin. It has many benefits as opposed to other invasive treatments. It is an entirely natural process where it uses the organic material from your body to regain the vitality of your skin. In fact, this procedure has little to no risk of side effects since it is your biological content. You don’t have to worry about being affected by allergic reactions. The procedure involves no surgery and takes few minutes, possibly half an hour. Acne and scar treatment on your face is more than superficial. In fact, they have the potential of safeguarding your emotional well-being and youthful appearance. All of these beautiful and cosmetic treatments are natural, which support the production of collagen for better growth of your skin. They have no side effects as compared to the surgery related treatments, which are accompanied by severe pain and other irritating side effects. These are just natural beauty and cosmetic procedures, and they are not invasive to your skin. The North Saskatchewan River Valley in Edmonton is the biggest stretch of the urban parkland in North America. Wow, acne and acne scar treatment using laser and other modern approaches? I never thought I’ll see this kind of post online. It’s quite interesting I must admit. I’ve been hearing that the Platelets Rich Plasma is the new and innovative way to remove and treat acne and scars on the surface of skins and I have started conditioning my mind to get that done for myself. When I learned that micro-needling stimulates the production of collagen and elastin naturally, I wasted no time in getting my doctor to do the treatment for me. It’s very safe and the result is just great. Cool. When you have got scars on your face for long and nothing seems to be working, you will jump at the best offer that comes your way that proves to be safe and efficient. Expect a visit from Albany team. Undergoing a treatment that helps with the removal of acne, scars and reduction of wrinkles and stretch marks is just all I need at this point. Since the system is safe and effective, I’ll just go for an appointment and see what the result will be like. I’ve totally been searching for a technique that can improve my wrinkly face and help with my scars too. I just read this post about modern approaches to scar treatment and I think I’m ready to give Micro-needling a try. My daughter actually shared this post with me and I’ve found a lot more details on acne and scar removal. I guess it’s time to get these embarrassing scars and acne off my skin for good. Yeah, acne is now one of the top ten most common skin disease worldwide and I’m not surprised to hear that. A lot of people I know suffered or are still suffering from this. I keep giving recommendations when I can and I want to start sharing stuff like this with those who ask me from now on. Acne left my face full of scars and this has really affected me in many ways. If I had known earlier that undergoing laser skin resurfacing can help my skin look healthier again, I would have long gone for the procedure. But I guess I’ll do that now and hopefully the damage is not too much for the laser. Thanks a lot for this post on acne and acne scar laser treatment and other modern approaches. It has made me see this differently and what I thought would involve surgery can be worked on with just a laser.